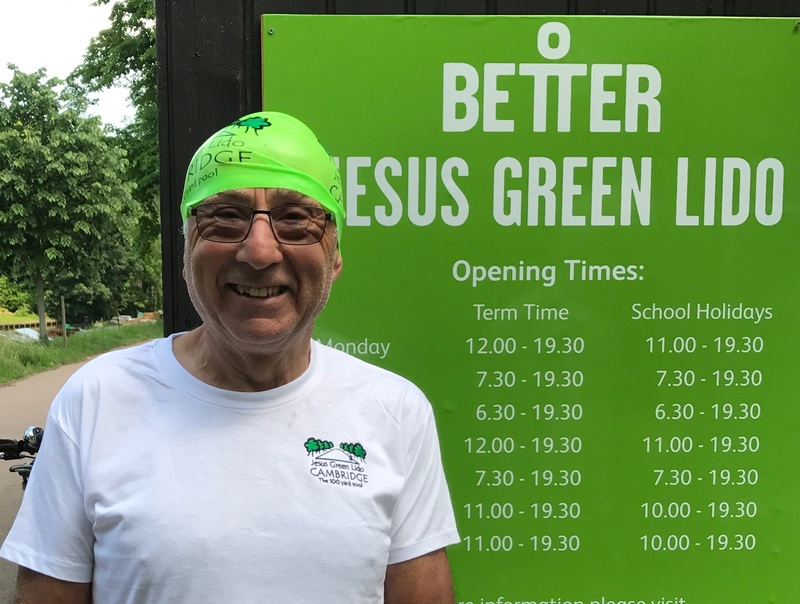 Jesus Green pool merchandise now available at the basket room. Today saw the arrival at the pool of swimming hats, t-shirts and postcards all sporting the new Jesus Green Logo designed by the local illustrator & artist C.G. Michaels. 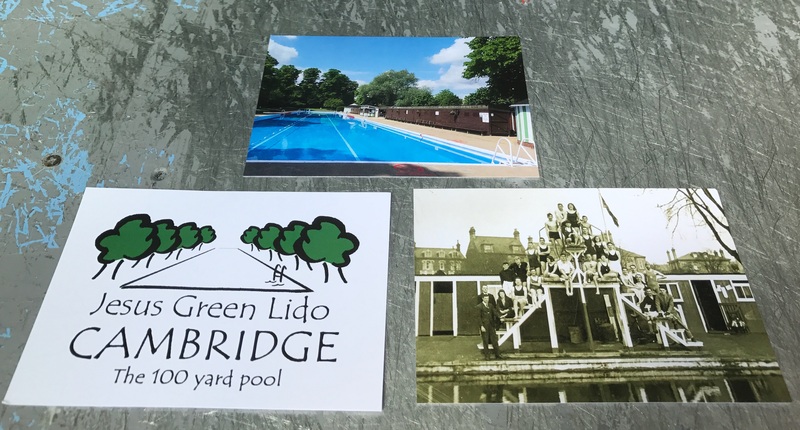 There are three postcards one with a photo of the pool taken by Helen Dwyer last week, a historical one taken of the long defunct wooden high diving boards in the twenties and one with just the logo on the front. These are priced at 80p each. This entry was posted in News and tagged merchandise on May 25, 2017 by GJ. Hello, I recently visited pool ( fantastic ) .i bought 3 postcards and lost them somewhere in Cambridge…sadly …can I buy them anywhere please ? Is there anyway I can do this ? Send a stamped/ addressed envelope ? Buy on line ?